Do you want to be the manager of your favourite football team? Online Soccer Manager (OSM) offers you that chance! This free-to-play game is completely renewed and contains all football competitions and clubs from all over the world. Choose your club and manage everything: line-up, tactics, training, transfers and more! 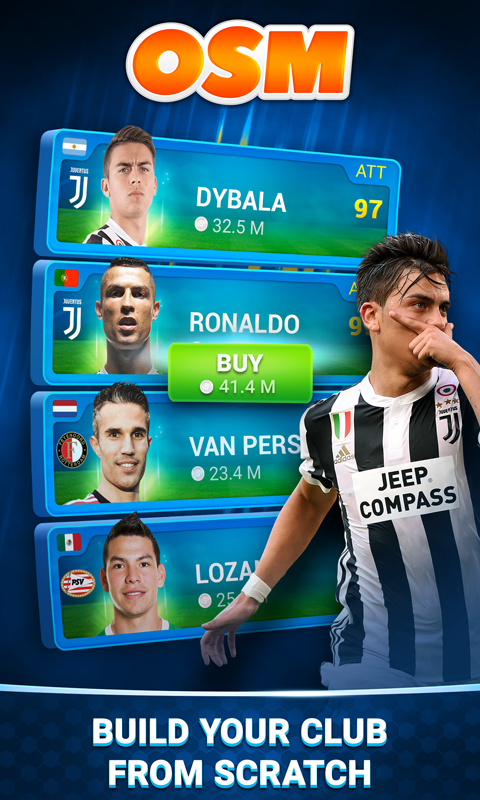 •	Over 5 million players worldwide! •	Play with your friends in the same competition! •	Solid 4.5+ star review in app stores for many years! •	Download and play for free! OSM is an addictive football management game, which allows you to act like the real manager of your favourite team. You are in charge of deciding the line-up, the buying and selling of players, the training and many other aspects. Need a new striker? Send your scout to Spain! Your pitch is not good enough? Upgrade your field and stadium! Player suspended? Let your lawyer appeal the sentence! After you managed everything at the club, once a day a match is simulated. It is up to you to prepare your team as good as possible, and make sure the results are good and stay good. And what is more fun than comparing your soccer skills with your friends? What’s new in this version of OSM? •	Official licenses of many clubs and competitions! •	Design got a big upgrade! •	New features, like the Business Club and Special Offers •	Easier than ever to play with your friends! •	More addictive than ever before! If you love soccer, you will definitely like this soccer management game! Download for free now! PLEASE NOTE This is a one season game. At the end of the season you can select a new team for the next one. This way you're able to manage a lot of different teams over time, which is really awesome! 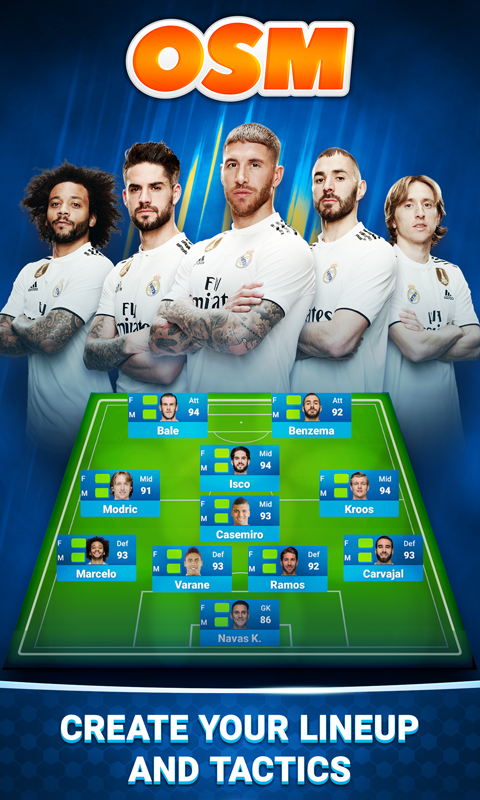 You can manage a lot of different teams over time, which makes the game more challenging, more varied and more up-to-date compared to other football management games like Top Eleven, Fifa and FM. All your results will be stored in your profile. When installing this app, we will ask you for permission to receive and send text messages. This is ONLY used when you decide to use an in-app payment option. You might wonder if this football game is really free. Well it is! You can play Online Soccer Manager for free as long as you want. So don't hesitate and install OSM now! The language in OSM is automatically set depending on the language settings on your device. We currently support the following languages: English (UK & US), Portuguese (PT & BR), French, German, Italian, Spanish, Danish, Dutch, Swedish, Hungarian, Romanian, Polish, Russian, Turkish, Arabic, Indonesian and Thai.  Is Online Soccer Manager (OSM) yours? Claim it!